My husband came home red eye early this morning – it was about 3 am when he climbed into bed. He was cold to the touch – needless to say, it woke me up for a bit and I got closer to warm him up. We slept in a bit but thanks to Phoebe, our dog, who waited patiently until she could not wait no more – she poked me awake since it was time for her morning bathroom trip. I since then decided to remain awake and let my husband sleep in. I made the food shopping list for today and tomorrow. I read the news quietly and then I decided that I wanted to take shower to get a move on with my day. But I knew it would wake him up. So, I woke him up instead, we had coffee and breakfast, then we showered. 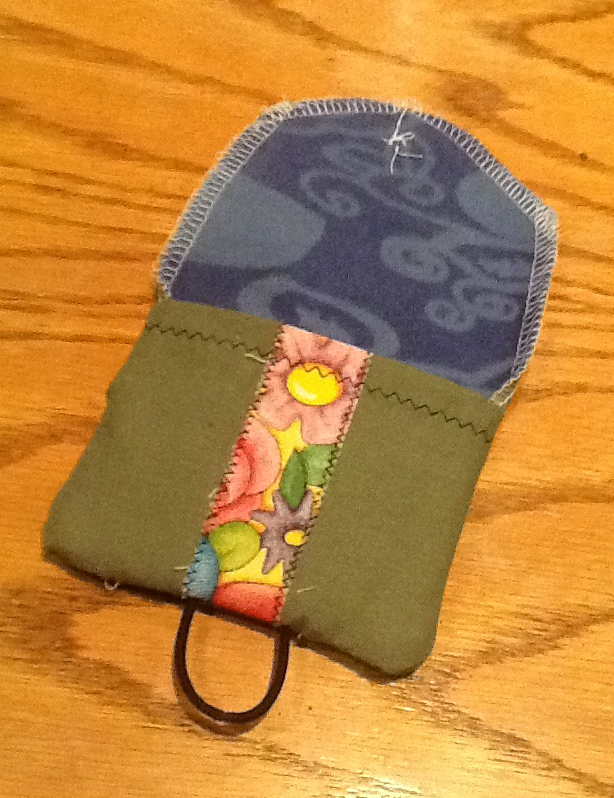 Here is the pouch closed. As you can see – I have not perfected stitching around curves yet. Keep in mind I’ve only been sewing a few weeks, at a few days at a time. Usually at two hours at a time. 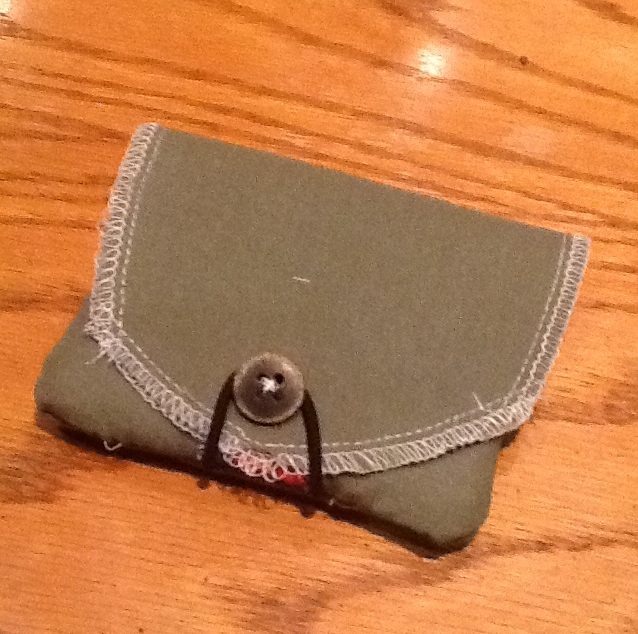 Here is the coin pouch opened up. I love the zig zag stitches – I got them straight! I thought the plain green chino was sort of boring, so I added a touch of flair by adding the floral strip. It looks cool, doesn’t it? I plan on making another one, I don’t care for the t-shirt lining. Maybe a darker solid fabric color just to add a contrast instead. I want to do a zipper pouch that will be a little bit bigger than this one. Once I get better at curves and top stitching, oh the things I can make! I can’t wait. It is time to move onto week four from the book, The Complete Artist Way. . So, with that, I will read chapter four beginning tomorrow. Tomorrow is also when the grant writing class will be available online. This new coming week promises to be a very full one.